Swivel Round Eye Forged Ring. 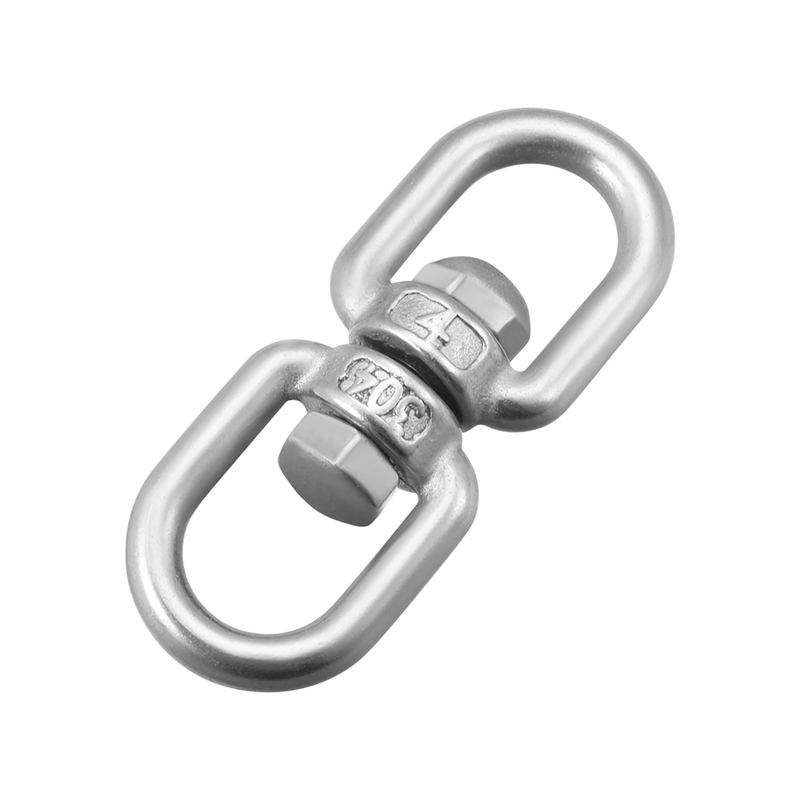 The swivel eye bolt is available to rotate a full 360 degrees, prevent the ropes from twisting. UXCELL dedicates to applying smooth rotating swivel ring for you. 304 Stainless Steel. With the fine polishing, this ring would not scratch any rope. High-quality 304 provides rust or corrosion resistance. Application. Rotating ring designed for a quick connection, usually used for chains or ropes in lifting. It's ideal for Hanging, Camping, Hiking, Fishing, Indoor or Outdoor Equipment. Detail. The overall length in this double ended ring is 47.3mm, thickness of the ring is 3.95mm. Application: Lifting, Hanging, Camping, Hiking, Fishing, Indoor or Outdoor Equipment.